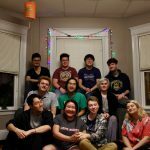 The Residential Strategies Working Group (RSWG) is now looking to implement its recommendations for student housing, which include offering more on-campus housing options for juniors and seniors, improving existing residential facilities and potentially charging different prices for different on-campus living arrangements. 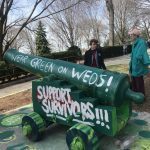 The RSWG initially presented its recommendations to University President Anthony Monaco and the Board of Trustees in May, according to Provost and Senior Vice President David Harris. 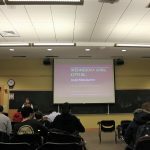 The RSWG was co-chaired by Harris, Executive Vice President Patricia Campbell, Dean of the School of Arts and Sciences James Glaser and Dean of the School of Engineering Jianmin Qu. Harris explained that it was comprised of 20 members of faculty, staff and students and that the group was divided into two segments: Campbell headed one focused on the financial side of residential strategy, while Glaser and Qu led the other, which emphasized student experience and housing. Monaco commissioned the group’s formation primarily due to growing concern about housing for juniors and seniors, Harris said. Harris pointed out that the university has a two-year on-campus residency requirement for students, after which some upperclassmen are able to stay on campus, but many are not, which, according to Harris, can pose problems. 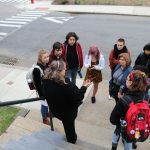 “Our concerns are being raised by ordinances in Somerville and similar discussions in Medford about the number of students that can be in a dwelling, and … those constraints will obviously increase the price per student because the landlords [are] not going to drop the total rent,” he said. 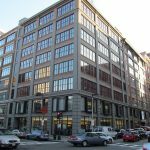 Plans for the Massachusetts Bay Transportation Authority (MBTA) Green Line Extension to come to College Avenue and Boston Avenue have exacerbated concerns about off-campus housing prices, Harris explained. 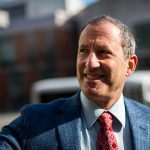 “As the Green Line ends up hopefully coming to [the] Boston and College Ave. station, that’s only going to increase demand for housing in [the] Somerville and Medford area, which means prices are also going to go up for our students,” he said. Harris said that the university is trying to avoid a future situation in which off-campus housing would be so expensive that it would force some students to live much further away from campus than others. According to Harris, it would likely be middle-income students who would suffer the most, as wealthy students could afford the increased rent and less affluent students could rely on financial aid to cover off-campus housing costs. “You’d hate to have it sort of become a commuter school for the kids who are middle income and residential for the other two,” he said. According to Harris, a solution the RSWG proposed is to convert university-owned wood-framed houses on the periphery of campus, currently used for office space and faculty and staff transitional housing, to student housing. “So it looks to the student very much [like] what you have now [living off campus], except your landlord is the university, and we can control the costs more instead of potentially having it skyrocket,” Harris said. Harris admitted that the faculty, staff and various departments currently using university-owned houses would have to move further away from campus. However, positives of having students living in those houses would include rent control, provided utilities, no responsibility to pay rent during the summer months and more of a buffer between students and neighbors. “The challenge is that the schedule of a student is often different from the schedule of a young family with a toddler or a newborn, or a retired person or others who are beyond college age,” he said. Glaser mentioned that if the university serves as a landlord, students could have a gentler transition to life after graduation. Apart from off-campus housing solutions, the RSWG is looking to improve on-campus housing options in an effort to preserve the housing stock the university currently holds, Harris said. Harris noted that steps have already been taken to maintain residential properties: The university began and completed several deferred maintenance projects this summer, including placing new roofing on Hillsides Apartments and new windows and brickwork on Metcalf Hall, he said. According to Patrick Collins, executive director of public relations, deferred maintenance refers to an investment by the university to update and replace deteriorating building infrastructure, such as mechanical, electrical and plumbing systems, along with windows and interiors, in order to extend the life of the building. The next step will be more intense renovations to Houston Hall and Miller Hall, Harris said. 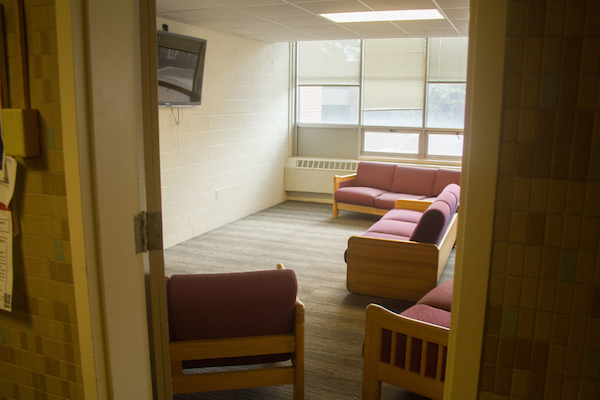 The main focus of these improvements will be creating better common areas and social spaces in the dorms, which Harris believes many residence halls are currently lacking. These changes could potentially begin next summer and would take approximately two years to complete, he added. The RSWG also proposed geographically grouping students according to their academic year, Harris said. This would mean first-years would be clustered in one residential area of campus, sophomores another, and so on, he explained. The RSWG also debated the implementation of differential room and board fees — meaning that students would pay more for more luxurious dorms — often used by other universities, according to Qu. He compared that to the current housing structure, in which the university has different dorms with different levels of comfort, and all students pay the same price. The working group decided that they would not be taking the university in that particular direction right now, Qu said. However, the group is considering changing the price of on-campus housing based on class year, as seniors typically live in apartment-style housing on campus as opposed to dorm rooms, he added. Glaser said that it would be fair to raise the price of living in Sophia Gordon Hall or Hillsides to the cost of equivalent apartment options that exist off campus. “It does make some sense to have apartment-style housing be priced in a different way than corridor-style because those residents hall are competing with off-campus housing that is comparable,” Glaser said.